A man was knocked unconscious and then robbed by two men as he walked along a quiet road in a Northamptonshire town. The attack happened sometime between 8pm and 8.30pm on Wednesday May 11 in Staverton Road in Daventry. 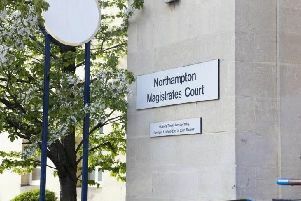 The victim, who was wearing a blue t-shirt and black jogging bottoms, was walking past the two offenders when they both punched his head, causing him to fall backwards and lose consciousness for a few seconds. When he came to he noticed his pockets had been emptied of cash and a white Samsung Galaxy J1 phone, and both the offenders were running off in the direction of Yeomanry Way. Both the attackers were described as white men, around 25 years of age, between 5ft 6ins and 5ft 8ins tall, with short dark hair and of medium build. One of the men was wearing a dark blue hoody pulled up over his head and the second man was wearing a black hoody pulled up over his head.